Kyla O, Colette and I have put together our Course Profile. Feel free to check it out!! This way, all teachers have collaborated together to share the weekly assignments and it is made readily available for all students to access from school or at home. The link can also be shared with families for quick access to check in on what their children are doing at school. There would be no login required and no need to recall a password to access the website. We have chosen 13 Reasons Why, The Outsiders, and Wonder as our main focus. We have listed additional resources that could fit well within this unit. For our unit, we have split up our novels into five different weekly sections. The expectation would be that students complete the required readings for the assigned period, whether that be reading on their own, with a partner, or listening to an audiobook. The audiobooks help learners who have lower reading comprehension, keep up with the pace of the weekly reading assignments. As stated earlier, students will be assigned a novel, a teacher, and also a learning partner from a different school. 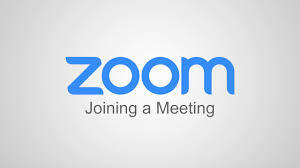 Students are able to connect through Zoom to talk to their learning partner about their weekly tasks that go along with the reading. This promotes collaboration and creativity. This is where all of the student assignments will be posted. Each week, students will be required to complete several questions based on reading strategies and they will publish their answers to their blogs. Kidblog provides K-12 teachers with tools to safely publish student writing. Teachers can monitor all activity within a community of authors. Posts can even be public, but nothing goes live until a teacher approves it. Kidblog empowers students to write with a meaningful purpose for a real audience. Connect with other classes down the hallway, across your district, or around the world. Students practice digital citizenship within a secure environment. In some weeks, students have a choice on how they want to represent their creative component. They can use postermywall to design a poster related to their novel and assignment. For example, creating a poster that demonstrates why kindness matters. A set time for each week has been designated. The teacher in charge of each novel will invite students to the group chat to respond to questions in real time. Students will discuss a series of per-compiled questions and dialogue with other member of their group about their assigned novel. This gives the students a weekly opportunity to connect on a weekly bases. Yo Teach! lets you create online backchannel spaces to facilitate discussions. To get started on Yo Teach! simply go to the site and name your room. You can get started by just doing those two steps, but I would recommend taking a another minute to scroll down the Yo Teach! site to activate the admin function, the password function, and to select “avoid search.” The “avoid search” option will hide your room from search results so that people cannot find it without being given its direct URL. The password function lets you set a password that must be entered before students can participate in the chat. The admin features of Yo Teach! let you mute or remove students from a discussion, delete your room, and view statistic about the usage of your room. The admin function that reveals statistics will show the names of participants and how active they have been in your Yo Teach! Room. Each week students are required to complete a creative component. An example would be having students use Adobe Spark to create a post with the key quote (or quotes) from your novel. The background must represent you think the setting of your story looks like. CR 7.2 → Select and use appropriate strategies to construct meaning before (e.g., formulating questions), during (e.g., recognizing organizational structure), and after (e.g., making judgements supported by evidence) viewing, listening, and reading. 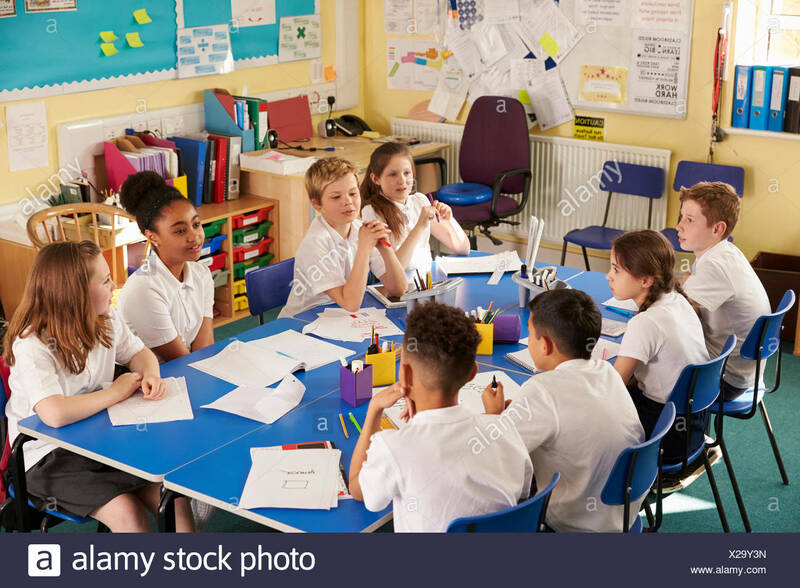 CR 8.2 → Select and use appropriate strategies to construct meaning before (e.g., previewing and anticipating message), during (e.g., making inferences based on text and prior knowledge), and after (e.g., paraphrasing and summarizing) viewing, listening, and reading. CR 7.6 → Read and demonstrate comprehension and interpretation (including thoughtful and critical response to content and craft) of grade-appropriate texts including traditional and contemporary prose fiction, poetry, and plays from First Nations, Métis, and other cultures. CR 8.6 → Read and demonstrate comprehension and interpretation of grade-appropriate texts including traditional and contemporary prose fiction, poetry, and plays from First Nations, Métis, and other cultures to evaluate the purpose, message, point of view, craft, values, and biases, stereotypes, or prejudices. CC 7.1 → Create various visual, oral, written, and multimedia (including digital) texts that explore identity (e.g., Exploring Thoughts, Feelings, and Ideas), social responsibility (e.g., Taking Action), and efficacy (e.g., Building a Better World). CC 8.2 → Create and present a group inquiry project related to a topic, theme, or issue studied in English language arts. CC 7.4 → Use pragmatic (e.g., use language that demonstrates respect for others), textual (e.g., use common organizational patterns within texts), syntactical (e.g., ensure agreement of subjects, verbs, and pronouns), semantic/lexical/morphological (e.g., avoid overused and misused words), graphophonic (e.g., enunciate clearly), and other cues (e.g., use appropriate gestures and facial expressions) to construct and to communicate meaning. CC 8.4 → Use pragmatic (e.g., use appropriate language register), textual (e.g., use artistic devices such as figurative language), syntactical (e.g., combine sentences to form compound and complex sentences for variety, interest, and effect), semantic/lexical/ morphological (e.g., use words to capture a particular aspect of meaning), graphophonic (e.g., correctly pronounce words with proper emphasis), and other cues (e.g, arrange and balance words and visuals as well as fonts) to construct and to communicate meaning. Each week, throughout our unit, the students will receive immediate feedback based off of a rubric to offer, suggestions, and compliments by the assigned teacher.This will allow students to improve their next post prior to it being submitted. Each week will serve as a formative assessment, with the final assessment at the end being summative. In addition, the students will complete peer assessments each week with their “blogging partner”. The students are required to use the format: “3C and a Q” – which means they must compliment the student, comment on the students work/contributions, make a connection (via text to text, text to self or text to world) to that student’s post, and pose a question as well. This will keep the dialogue going and provide students with a set structure. Overall, our main consideration for common concerns is as follows. For those students who require adaptations for their reading, there is access to Google Read and Write which assists in completing assignments. There is a word prediction tool, spellcheck, voice to text, and many more tools. We will also have access to audiobooks for those students who require them. All books are at different reading levels to accommodate the diverse needs in the classrooms. Fortunately, all schools working on this project have easy access to technology at school. In some cases, students who have homework and limited/no access to technology at home, may have trouble if they cannot keep up with the academic demands and there would be a need for a teacher intervention to support those students. Our rationale is to make connections with other schools, teachers and students alike. We will be spending our time creating a product that will be utilized in our own classrooms! We chose a relevant educational topic that is part of the curriculum for every grade and we hope that all students will be able to create many “takeaways” from the readings provided. We have chosen this forum as it is easily accessible to all of our students and our school all have availability to the apps or websites. Each of the sites provides their to be multiple leaders or teachers which is necessary for a project like this to work. The questions listed below will be distributed to the students prior to the weekly chats. Students will be provided with the opportunity to reflect on the direction of the questions and the answers they would like to give. This is an adaptation that allows students not to be put on the spot and to feel comfortable with their contribution to the chat. What are your initial thoughts about Clay? Support your answer with 2 direct quotations from the novel. What are your initial thoughts about Hannah? Is she sympathetic character? Do you like her? Why or why not? What was your reaction to listening to Hannah’s voice over the tape? What was Clay’s reaction when his mother wanted to listen to the tape? Do you think Hannah’s tapes will stay between the twelve people on the list, or will they be shown to the authorities and/or released to the public? Should they be? Why or why not? At the beginning of the first tape, Hannah says, “…there are thirteen sides to every story.” What does she mean by this? And in the middle of the room, one desk to the left will be the desk of Hannah Baker. Empty. – Clay (Prologue, p.4) What is your reaction to this quote? How do you feel about Justin Foley? Are there any reasons you feel you should not trust him? Who is the last name in the list of people to receive the tapes? What is the purpose of Hannah’s tapes? Another student sabotages Hannah during a class project. Clay’s nightmares about Hannah spill over into the daytime. How does this make Clay feel? What does Tony do to support Hannah and Clay throughout this process? Do you feel he is a good friend who is making sacrifices for better or worse? What did Mr. Porter do wrong? What could he have done better? What will he do with the tapes when he gets them? How does Hannah and Clay’s dual narrative enhance the story? What additional details are revealed through this method of storytelling that might have otherwise remained secret if the book had been written from only one of their perspectives? How do you feel the teachers are handling the situation? What are specific experiences that have led to Hannah’s 13 reasons why? Hannah’s classmates even said that “whoever wrote the note just wants attention” (9.222). What do you think of this quotation? How do you think Clay internalizes all of what Hannah is staying on the tapes? Describe each of the characters relationship with one another. How do Ponyboy’s relationships with Darry and Sodapop differ? Explain. Why is the ‘gang’ important to Johnny? How does Ponyboy react to what Sodapop tells him about Darry? Do you think Darry loves Ponyboy? Why does he treat Ponyboy the way he does? Why does Pony have a problem with Johnny’s idea to disguise themselves? What does it take away from him? Why do they have to disguise themselves? Why does Johnny think Dally is a hero? Do you think Dally is a hero based on what he did? Why are the socs and the greasers going to fight in the vacant lot? What is at stake? Who is the spy for the greasers? Does this surprise you? Why or why not? “Maybe people are younger when they are asleep”. What do you think about this comment? What does it mean? When Pony asks what kind of a world it is, what comment is he making about how society judges people? Even though Pony does not want to be a greaser and does not like many of the things that greasers do, the rumble allows him to be proud to be a greaser. Explain this contradiction. What is the difference between Tim Sheppard’s gang and Ponyboy’s? Explain how Pony feels this difference might give his group the upper hand? What are the rules of the rumble? (pp. 140-142). Explain why Pony might rather anyone’s hate than their pity? What do you think is going on with Ponyboy when he says, “Johnny didn’t have anything to do with Bob’s getting killed”? Why do people look quickly away when they first see August? In this section August discusses the issue of him going to school. Why has he never gone to school? Do you think he should? August goes on the tour of the school and meets three students. In your opinion which one would turn out to be a bully? How would you describe the other students’ reaction to August in homeroom? What does September’s precept, “When given the choice between being right or being kind, choose kind,” mean? Do you think Via is jealous of all the attention August gets? Did Via have a good first day of high school? Who is Miranda and why did she call? August decided to change his costume. How do you think mom reacted to this? Would you describe Summer as a good person? Why or why not? Do you think Summer thinks Jack is a good friend? How does August feel about going on the 5th Grade Nature Retreat? Jack and August find themselves in trouble. What is the trouble and who helps them? August lies to the teachers about not being able to remember the 7th graders’ faces. Why do you think he did this? What animal does August use to represent himself? Do you think it is a good choice? There is a ceremony at school, what happens at the ceremony that shows a change from the beginning to the end of the school year? Mr. Tushman says “Always try to be a little kinder than necessary.” What does that mean to you? In your opinion what character shows this the best? Feel free to leave a comment!! Murphy’s (2013) Principles of Epistemically Responsible Assessment, I believe that teachers must keep an open mind in terms of assessment and must consider a variety ways about how to administer assessment. This week I will be discussing my own definition of assessment, my experience with both reflective and determinative assessment, as well, standardized testing. 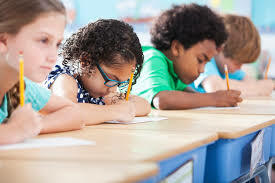 An assessment should truly reflect what a child can do both in an informal and formal setting. Assessment should be a combination of formative and summative. Assessment should also be adapted for students in order for their needs to be met. Like I said, this definition would have been completely different if you would have asked me my first year of teaching. I don’t think I would have truly understood the importance of the balance of formal and informal assessment. Murphy(2013) describes many principles of reflective assessment. Most seemed attractive to me in terms of student success in the classroom. In my experience, I find that my students get a lot more out of this style of assessment. I see a lot more student engagement when asking them to represent their knowledge. Not always using the traditional assessments allows students to truly show what they know. Other aspects of this assessment I like is the flexible grouping and small group instruction time. I currently do both Daily 5 and Explore +4 in my classroom which allows me to work very closely with my students. This type of environment allows me to have very valuable time with my students, especially those with extra needs. Although attractive, it is not always possible to effectively assess reflectivly. Resources, materials, and time definitely is a factor. As Murphy (2013), states “every assessment is marked by limitations in design because no design can serve all possible functions(p.3)”. observational or developmental checklists (p.5)”. Fountas and Pinnell is considered a standardized test in which all grade threes in my school division need to complete two times a year. I actually like this assessment because we can see what students reading levels exactly are. When I first started teaching however, we had about 3 different standardized assessments we needed to do at both the beginning and end of year. These test included a math, writing, and comprehension test. I was not a fan of these assessments. They were very time consuming and very irrelevant to students and content being taught in class. I also appreciate the rubric based assessments as sometimes that is the best way to assess students knowledge. Overall, I believe that both styles of assessment are extremely important for our students success. As Murphy admitted (2013), “the type of assessment you choose to use as a teacher depends on the different people and places we are in” (p.10). Therefore, it is up to the teacher to decide what type of assessment they use to best meet the needs of their students. What Blended Learning means to me!! Blended learning and the integration of technology, in my eyes, is very important for the success of our students in the classroom. The idea of blended learning became more and more popular ever since the idea of progressiveness was introduced to the world. 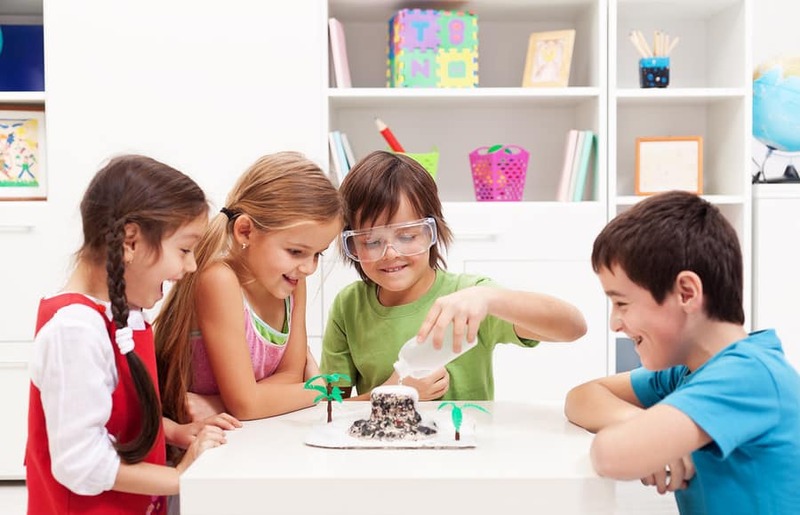 Incorporating values and principals from progressive educational theories such as Dewey, Montessori, Piaget, ect., who believed in more of a student centered approach of teaching, has definitely shaped and continues to shape the type of education that exists today. In saying that, I believed that the main purpose of education is to prepare young children to become successful members of society. As well, to use their interests and to help motivate and guide them in a direction in life that can allow them to be successful. However, I also believe that a teacher should be using a variety of philosophies to accomplish this. In other words, using a blended learning approach, is how I believe students will be successful in the classroom. The Video: What is blended learning? that Alec showed described blended learning in a way that really stuck with me. Basically, they said that blended learning is the combination of the best teacher and computer instruction. Therefore, for my response this week, I am going to reflect on the pros/cons of blended learning, as well discuss my own experiences with blended learning. We had great discussions in our zoom session this past Tuesday about the history of blended learning as well the pros and cons . During these discussions, I was jotting down notes on the ideas and information that was being talked about. This includes the pros and cons of blended learning. In the chart below are these ideas. A couple of the ideas came from the zoom chat. I will be sure to credit those who shared their ideas! There were many other ideas discussed however those stood out most to me. Do you have any ideas to add?! In the end, I believe that the pros and cons even out, and that blended learning is still the way to go to make our students successful. In terms of the blended learning and integration of technology in my own classroom, I do my best with the time, materials, and resources I am given. By using the classroom computers and school tech carts, I try to use as many applications and suites as possible. For example, and as Kyla talked about in her blog post this week, I have used google classroom in the past. It is super easy to use as well I found it kept the students online work organized. I also have been trying to incorporate more experiential learning into the classroom. I find giving the children additional time to explore inside and outside the class can create richer learning experiences for them. of technology is most challenging for me. I am currently without a data projector in my classroom and still in the process of getting one (4 months later). Overall, I believe that it is important for students to have the opportunity to be exposed blended learning opportunities as well technology. On a side note, Alec showed this theorist chart in another class. I LOVE it and have used it several times when learning and writing about all the educational theorists out there. 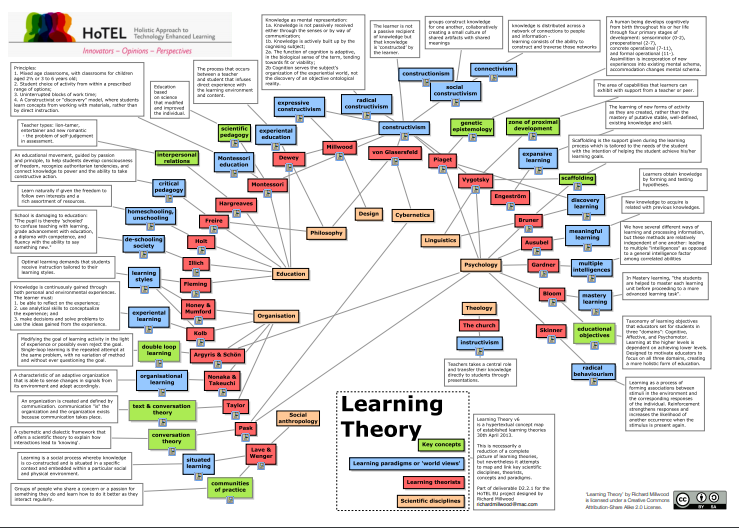 Click the link to view it more clearly (learning-theory). Ever since I began my journey of becoming a teacher, I have believed that the main purpose of education is to prepare young children to become successful members of society. As well, to use their interests and to help motivate and guide them in a direction in life that can allow them to be successful. However, I also believe that a teacher should be using a variety of philosophies to accomplish this including the both Dewey (1938) discusses, progressive and traditional. Dewey (1938), outlines many principles of each philosophy. I found myself caught in the middle of deciding which philosophy I felt can best meet the need of my future and current students. I reflected on the principals and properties of each and was able to think deeply about which I truly believe might work best in the classroom. For this response, I will share my reflections on both philosophies and the two qualities I find most appealing. The traditional way of teaching is not all that bad. As Dewey (1938) discusses, it is the attitudes of both the teacher and students that can make an experience a positive or negative one. Two principles of the traditional way of teaching in Deweys (1938) book, and also in my own experience in elementary school, stood out for me. As we know, the progressive way of teaching is all about students having learning experiences. However, there are many opportunities in a traditional setting for students to have similar experiences that can impact their learning greatly. Dewey (1938) concurs by admitting that “it is a great mistake to suppose, even tacitly, that the traditional schoolroom was not a place in which pupils had experiences” (p.9). In my early elementary years, I would have considered my school experience traditional. Despite that experience, I remember having many memorable experiences that I was able to learn from. Next, I believe that learning about history and the ways in which society has been and not been successful in the past has a lot to offer. I remember appreciating learning how our history has shaped our world today. Dewey (1938) raised a great point when stating that “how shall the young become acquired with the past in such a way that the acquaintance is a potent agent in appreciation of the living present” (p.8). I did not mind being taught information and answering questions as I found myself truly comprehending and learning the content. Therefore, having experiences and learning about how our past has shaped our future are two principles that I found attractive about the traditional way of teaching. Progressive education, on the other hand, has many principals in which I believe can benefit students both in and outside of the classroom. Aside from the “organic connection between education and personal experience” (Dewey, p.8), progressive education is not contained to potentially dull textbooks. Progressive education provides more flexibility for the teacher and students. As well, teachers are able to really focus on the needs of the students rather than trying to educate our students with irrelevant and foreign knowledge. Another positive element of progressive education is the fact that it provides a better quality of human experience. Dewey (1938) also states, “can we find any reason that does not ultimately come down to the belief that democratic social arrangements promote a better quality of human experience” (p. 12). In my five years of teaching, I can name dozens of experiences in which children who have learned through experiences, conversations with peers, and through doing. Therefore, the flexibility and opportunities for endless experiences are two principles of progressive education the stood out for me. Overall, I believe that it is important for students to have the opportunity to be exposed to different teaching philosophies. I don’t believe there is one right way to educate our children. I believe, and continue to believe, that the way in which a child should be learning depends solely on their needs. After all, “teachers are agents through which knowledge and skills are communicated and rules of conduct: enforced ( Dewey, p.5)”. Introduction Post to EC&I 834!!! 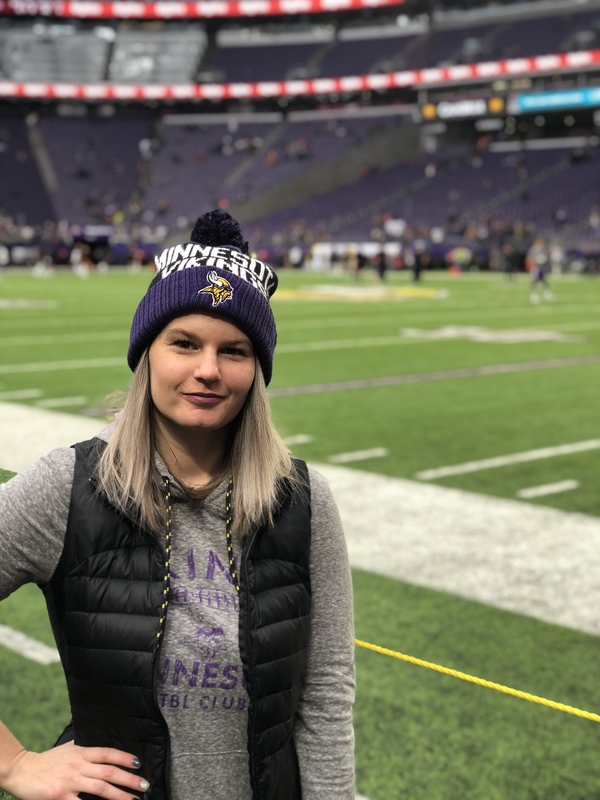 My name is Amy Cross and I am in my fifth year of teaching for Regina Public Schools. I have had the opportunity to teach grade 3,4, 6, 7, 8. Although I did the Middles Years Program at the University of Regina, I have been enjoying teaching more the primary grades, mostly grades 3. I am currently enrolled in the Curriculum and Instruction Master’s program here at the University of Regina. I am in my 8th and 9th class this semester. To learn about that the history and foundations of blended and online learning. I am interested to learn how online learning started and how we came to be at the point we are today (if that makes sense). To learn specific strategies and techniques on how to incorporate online learning in the classroom today. I am definitely interested in incorporating MORE online learning in my current and future classrooms. To get to know and work with everyone in the class. Most importantly, LEARN from others projects, shared experiences, and the stories they tell! Thank you everyone for reading and I am VERY excited to be working and learning alongside you this semester! Thank you for reading my first post! !